It was Airwave who fired the starting shot for Bonzai’s now three-years-and-running ‘In The Mix – Progressive Sessions’ series back in the summer of 2015. Maintaining a clockwork-regular two-per-year release-tempo, it most recently dropped Gai Barone’s Feb-released ‘006’ edition. (“9/10 - the ethos of progressive captured” said MIXMAG upon its arrival). ‘ITM007’ - out this autumn, sees its mix-baton passed back into the hands of the Belgian. In the pursuit of conquering even ‘ITM 001’s dizzying heights, Laurent has gone the extra mile brilliantly networking 28 tracks into 150 mind-expanding minutes of progressive eminence. In the most classic of senses, Airwave overtures with his bespoke ‘ITM007: Intro Part 1’ creation. It places the anticipatory sounds of an orchestral string section tuning up against atmospheric pads and intruding drum march. Scene luminously set, it cedes to allow the air-spun melodics of Eelke Kleijn’s ‘The Calling’, Slam Duck’s drumatic retake of Narel’s ‘Circle Sky’ and Airwave’s own swirling prog-noir ‘Gravy Train’ in. Around its midpoint, Rauschhaus’ rebuild of Oovation & Yoachim’s ‘Open It Wide’ finds common ground with the bassy prowl of ‘Night And Day’ from The Stupid Experts. As Mix1 thunders hypnotically towards its terminus, Laurent feeds ‘Bliss’ - the lead track from his latest EP – into its system, before reaching its atmospheric apex through brilliantly vivid ‘Eclipticum’ from Cortex Thrill. 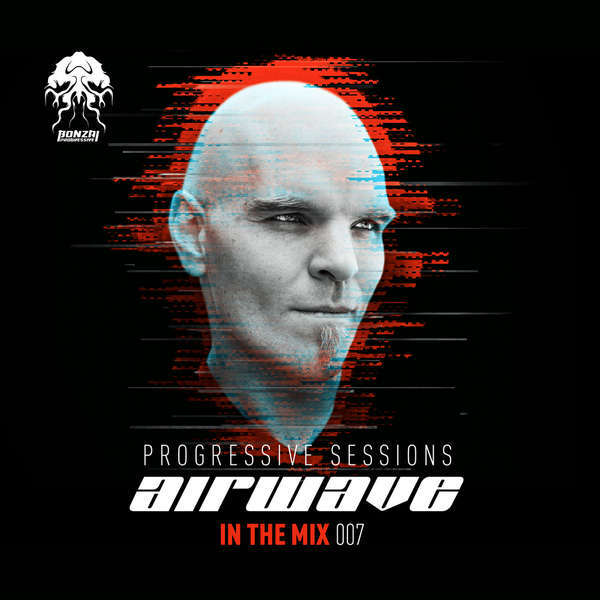 If a journey into the very heart of the music is what you’re after, call off the search – Airwave’s ‘In The Mix 007 - Progressive Sessions’ is available to order here (https://bit.ly/2yRtzfs) or you can listen via Spotify here (https://spoti.fi/2yO9oPB). Laurent Veronnez aka Airwave aka many many other guises was born in Brussels in 1977, he is a naturally gifted artist and this manifested in him at the age of just 7. Influenced by the 80?s and 90?s sounds and by greats such as Kraftwerk, Jean Michel Jarre, Orbital, Oliver Lieb and BT, he honed his skills in music knowledge and technology. Laurent would then see demos picked up by the infamous Bonzai imprint in 1996 and the stunning Airwave – “I want To Believe” was released. In 1998 this was picked up by many top DJ’s including Sasha and Oakenfold and later on by an up and coming DJ, Tiesto. Airwave’s sound was and still is prominent in the UK and Dutch trance scene and this has helped a host of today’s top DJ’s be where they are now. His infectious music spread further in 1999 to Germany, Italy and the world and now Airwave is a very popular name on the EDM scene with a huge, loyal fan-base. Time saw him finally running Banshee Worx with his long-time partners and friends Marnik and Fly, and also expanding his knowledge of acoustics in order to develop his career as a producer and as a sound designer among others. Laurent runs a monthly radio show called Progrez where he showcases a wide range of music, this is followed religiously by his army of fans the world over. Music that is full of emotion, special and unique with expressed feelings, many have claimed it has changed their lives for the better. When there are discussions on greats of EDM the name Airwave-Laurent always crops up.